For Private Jet / VVIP Catering Fully integrated software solution for Private Jet Catering. AeroChef-Lite is a best in class web based software system developed exclusively for the small to medium level Private Jet / VVIP & Event Catering companies. 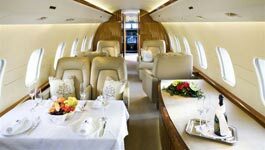 Private Jet Catering business with its diverse operational structure and dynamic demands of customers need to constantly improve overall efficiency and productivity to stay ahead of the game. Private caterers have a demanding clientele who require bespoke menus and tailor made services, which need to be provided to create customer delight! Managing these processes, planning the deliveries with required flexibility can be quite a daunting exercise without a good system. AeroChef-Lite is successfully helping many Catering companies around the globe to run a cost effective streamlined operation. The system is available both as a ‘site install’ and ‘hosted’ model. AeroChef - Lite for Private Jet catering companies has the following modules. AeroChef - Lite for Private Jet catering companies has the following features. Web based solution specially designed for Private Jet catering companies.